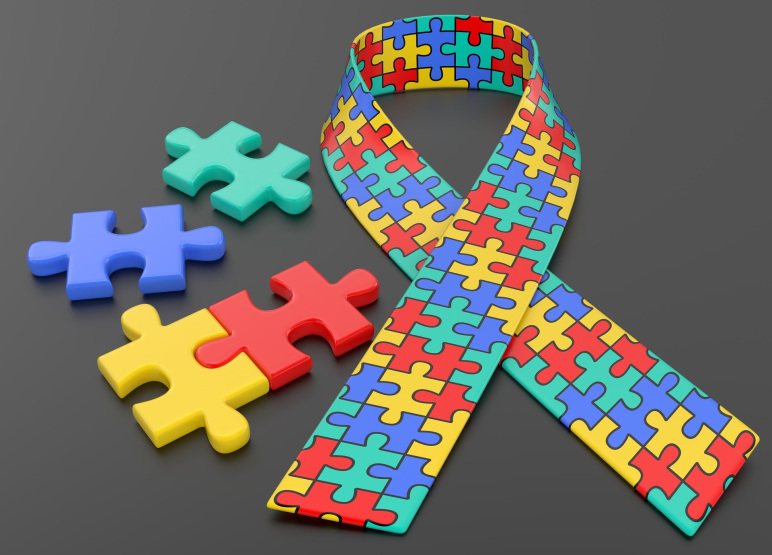 School professionals and clinicians share the challenge of identifying and providing interventions for the increasing number of children with autism spectrum disorder (ASD). Incorporating the many advances made in recent years, this book is an authoritative resource for professionals who need the most current and reliable information on assessing and treating this neurodevelopmental disorder. It includes procedures to help identify children using the new DSM-5 symptom criteria and offers essential guidance for assessing a variety of emotional, behavioral, and academic problems. Comprehensive and timely, the book offers practical, research-based findings that can assist educators and school psychologists in screening and assessing children – and in implementing appropriate intervention strategies. Clearly organized and easy to follow, this new guide is essential reading for anyone working with children who have, or might have ASD. Part I. Evidenced-Based Assessment of Autism Spectrum Disorder 1. 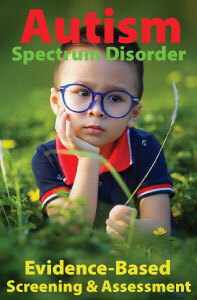 Overview of Autism Spectrum Disorder 2. Multitier Screening and Identification 3. Comprehensive Developmental Assessment Model 4. Cognitive, Neuropsychological, Academic, and Adaptive Functioning 5. Language and Social Communication 6. Co-Occurring Emotional and Behavioral Problems Part II. Evidence-Based Intervention for Autism Spectrum Disorder 7. Evidence-Based Interventions in the Classroom 8. Continuum of Services and the Individual Education Plan Process 9. Curriculum and Program Structure  10. Collaboration Between Families and Schools 11. Legal Issues Under IDEA. The book is represented in college/university libraries worldwide and serves as an ideal text in graduate-level courses on autism, developmental disabilities, special education, clinical and school psychology and early intervention. This highly readable and evidence-based practitioner resource sets the standard for all professionals working with students and families with ASD. 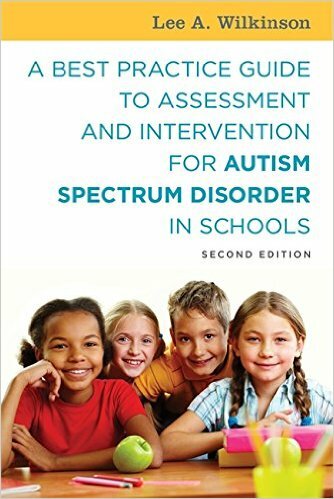 Autism Spectrum Disorder in Children and Adolescents: Evidence-Based Assessment and Intervention in Schools can ordered from APA Books, Amazon.com, Barnes & Noble, Books-A-Million, Book Depository, and other booksellers. The book is available in both print and eBook formats. Examination and desk copies are also available to college and university faculty. Lee A. Wilkinson, PhD, CCBT, NCSP is an applied researcher and practitioner. He is a nationally certified and licensed school psychologist, chartered psychologist, registered educational psychologist, and certified cognitive-behavioral therapist. Dr. Wilkinson is author of the award-winning books, A Best Practice Guide to Assessment and Intervention for Autism and Asperger Syndrome in Schools and Overcoming Anxiety and Depression on the Autism Spectrum: A Self-Help Guide Using CBT. His latest book is A Best Practice Guide to Assessment and Intervention for Autism Spectrum Disorder in Schools(2nd edition). 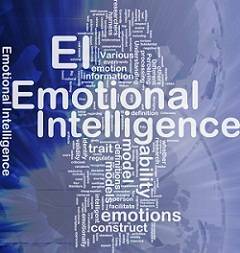 Emotional intelligence (EI) is broadly defined as the ability to identify, assess, and control the emotions of oneself, of others, and of groups. The interest and research relating to EI has grown dramatically over the past decade. 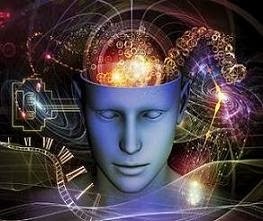 Currently, there are two emotional intelligence constructs: ability EI (or cognitive-emotional ability) and trait EI (or trait emotional self-efficacy). They are differentiated by the type of measurement used in the operationalization process. For example, the ability perspective conceives EI as a form of intelligence best assessed via performance tests and has stronger relationships with cognitive ability hierarchies. Thus, ability EI refers to individual differences in the ability to process and use emotional information to promote effective functioning in everyday life. 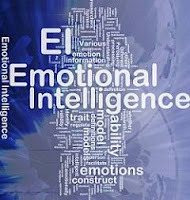 Trait EI concerns behavioral dispositions and self-perceived abilities and is measured through self-report. Trait EI has stronger relationships with personality and concerns people’s perceptions of their emotional abilities (how good we believe we are in understanding and managing our own and other people’s emotions, rather than how good we actually are). These perceptions are generally stable over time and have a direct influence on mood, behavior, achievement, and action. In other words, trait EI is defined, not as a cognitive ability, but as a collection of personality traits concerning people's perceptions of their emotional abilities. 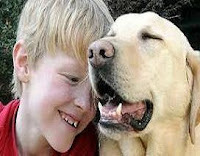 The defining feature of autism spectrum disorders (ASD) is impairment in interpersonal relating and communication. This includes difficulty communicating with others, processing and integrating information from the environment, establishing and maintaining reciprocal social relationships, taking another person’s perspective, inferring the interests of others, and transitioning to new learning environments. While all individuals with ASD experience core social-communication deficits, we now recognize that autism-related traits are quantitatively distributed in the general population and that autism is best conceptualized as a spectrum disorder, rather than a categorical diagnosis. Even mild degrees of what might be called autistic social impairment can significantly interfere with adaptive behavior. Likewise, a combination of mild autistic symptomatology and other psychological liabilities (e.g., attention problems, mood problems, aggression) can have an adverse effect on social and emotional adjustment. 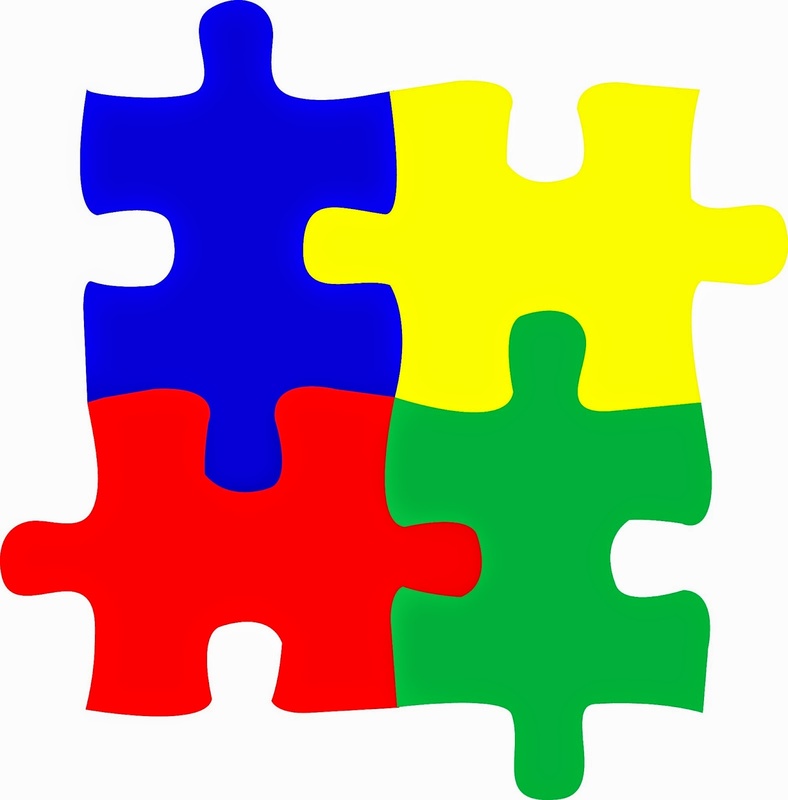 Unfortunately, the core features of ASD may not diminish with development. 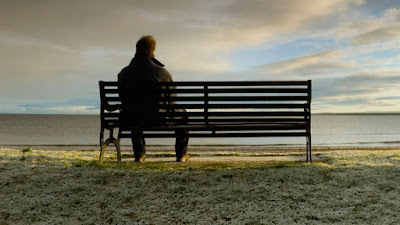 Typically, individuals do not ‘‘outgrow’’ their deficits. Distress may actually increase as the social milieu becomes more complex and challenging. 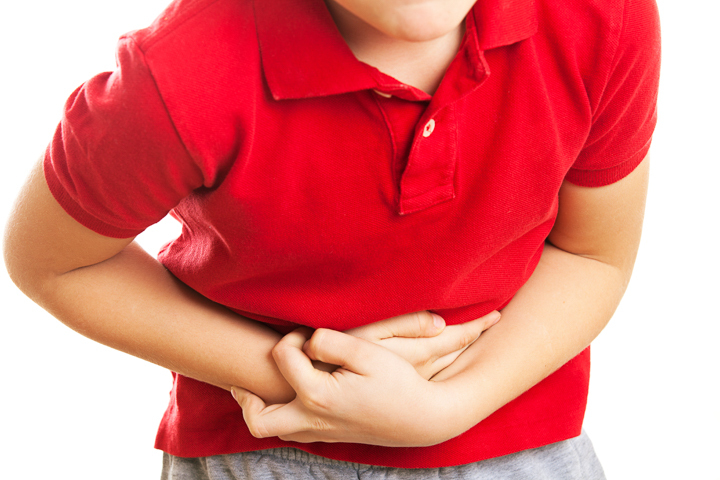 These difficulties may then persist well into adulthood and lead to comorbid emotional symptoms. Indeed, high stress, anxiety and depression are regularly present in persons with ASD. ASD involves deficits that are directly relevant to the constellation of emotional self-perceptions encompassed by trait EI. Trait emotional intelligence (trait EI) encompasses many of the aspects of social-emotional functioning that have been shown to be impaired in ASD in the form of self-perceptions. Research has begun to examine the link between higher functioning ASD (e.g., Asperger syndrome) and trait EI. A recent study compared the trait EI profiles of men and women diagnosed with Asperger syndrome (AS) with those of a normative sample, group-matched on age and gender. Participants were thirty adults diagnosed with AS (16 women and 14 men) who volunteered for the study and were subsequently group-matched with 43 typically developing adults (22 women and 21 men). There were no significant differences in the mean age of the participants with and without AS and no significant between-group differences in the distribution of gender. All participants completed the Trait Emotional Intelligence Questionnaire (TEIQue), a self-report inventory specifically designed to comprehensively measure the trait EI construct. The TEIQue consists of 153 items rated on a 7-point scale ranging from 1 (strongly disagree) to 7 (strongly agree) and includes 15 subscales (facets) organized under four factors (Well-Being, Self-Control, Emotionality, and Sociability) and global trait EI. It has been shown to have satisfactory psychometric properties in various studies. Below is a list of the 15 trait EI facets, along with a brief description of each. These facets comprise the current sampling domain of trait emotional intelligence in adults and adolescents. Adaptability flexible and willing to adapt to new conditions. Assertiveness forthright, frank, & willing to stand up for rights. Emotion perception (self; others) clear about their own & other people’s feelings. Emotion expression capable of communicating their feelings to others. Emotion management (others) capable of influencing other people’s feelings. Emotion regulation capable of controlling their emotions. Impulsiveness (low) reflective & less likely to give in to their urges. Relationships capable of having fulfilling personal relationships. Self-motivation driven & unlikely to give up in the face of adversity. Social awareness accomplished networkers with excellent social skills. Stress management capable of withstanding pressure & regulating stress. Trait empathy capable of taking someone else’s perspective. Trait happiness cheerful & satisfied with their lives. Trait optimism confident & likely to “look on the bright side” of life. The researchers hypothesized if individuals with Asperger syndrome have limited understanding their social-communication deficits, then they would score similarly to typical adults on the TEIQue. However, if they have an accurate understanding of these deficits, then they would score significantly lower. The researchers also sought to shed light on the gender discrepancy routinely observed in ASD, particularly in those more able individuals diagnosed with ASD. The results showed that individuals with AS had significantly lower scores on most TEIQue variables, including the global trait EI score. The Asperger group scored significantly lower on 12 out of the 15 facets of the Trait Emotional Intelligence Questionnaire (TEIQue). They rated themselves particularly low on questions relating to social awareness, emotion management, adaptability, empathy, and emotion perception. The finding appears to be consistent with the clinical presentation of ASD. Differences were much smaller, or non-existent, on questions relating to self-control (especially, impulse control and emotion control). With respect to gender, males scored higher than females, albeit with small effect sizes. 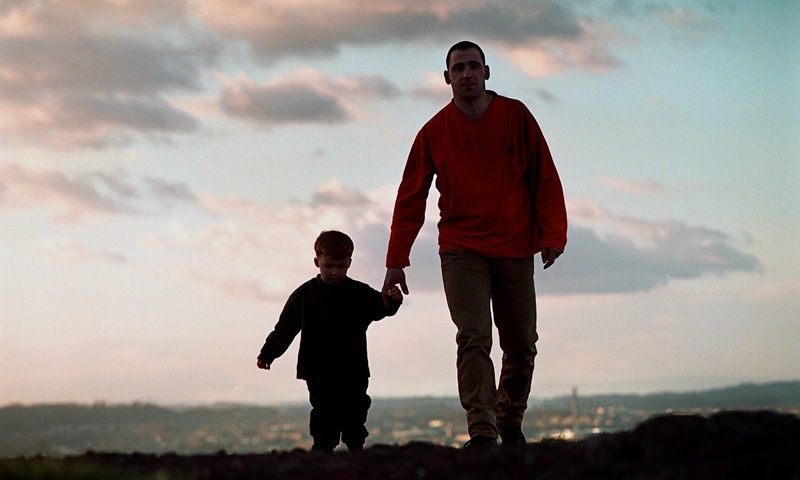 Overall, the findings suggest that individuals with Asperger syndrome have insight into the nature of their condition and are aware of the strengths and weaknesses of their personality. These data also suggest that the female phenotype of AS may be associated with greater impairment than the male phenotype. This research contributes to the evidence documenting the effect of trait EI self-perceptions and dispositions on socio-emotional development and overall psychological well-being. The well-being component of trait EI may be especially relevant in the adjustment process, since positive emotions contribute to the development of those physical, intellectual and social resources necessary to cope successfully with the demands of the social world. There are extensive individual differences in people's perceptions of their emotional abilities. Because trait EI affects behavior, self-referent cognitions and mental health, it is an important variable to consider in the evaluation and treatment of higher functioning individuals with ASD. 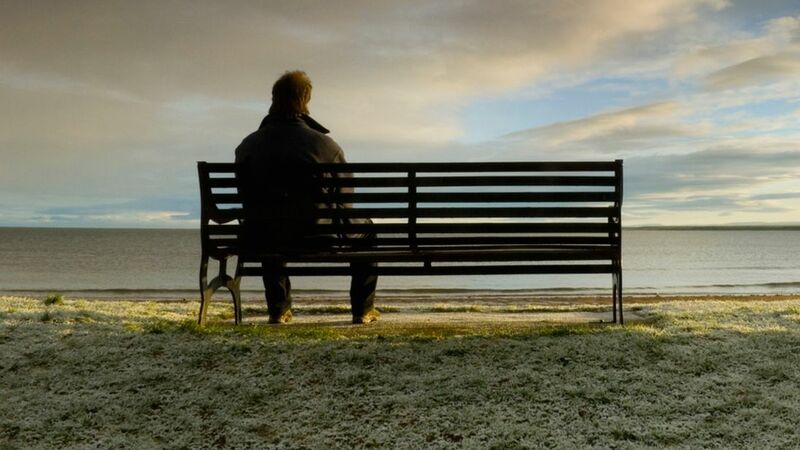 Although individuals with ASD appear to be aware of their social-communication deficits, further study is needed into the capacity for insight and how it may be utilized in treatment/intervention. Likewise, further study is also needed to examine the relationship of trait EI variables to symptom severity and determine to what extent individual self-perceptions predict outcomes (e.g., life satisfaction, coping strategies, and job performance). Perceived emotional self-efficacy also plays an important role in emotion management and regulation in education. Consequently, further research on trait EI should include children with ASD. A child version of the TEIQue (TEIQue-Child Form) is available for children aged between 8 and 12 years of age and measures nine distinct facets. An examination of trait EI profiles of children with ASD may assist with identification, intervention, and progress monitoring. 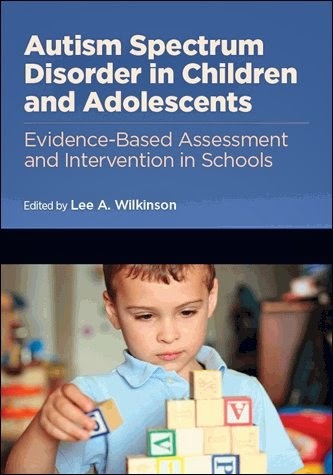 Lee A. Wilkinson, PhD is the author of the award-winning book, A Best Practice Guide to Assessment and Intervention for Autism and Asperger Syndrome in Schools, published by Jessica Kingsley Publishers. He is also the editor of a best-selling text in the APA School Psychology Book Series, Autism Spectrum Disorder in Children and Adolescents: Evidence-Based Assessment and Intervention in Schools, and author of the book, Overcoming Anxiety and Depression on the Autism Spectrum: A Self-Help Guide Using CBT. Dr. Wilkinson's latest book is A Best Practice Guide to Assessment and Intervention for Autism Spectrum Disorder in Schools, (2nd Edition).